Oyster Extract Health Supplements for your good health! Regarding our OY-EX Products, please contact us by email. Our products are made in Japan and currently will be shipped from Japan directly. 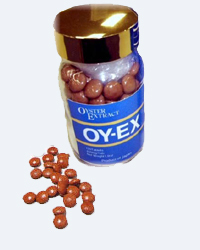 Please contact us by email for any inquiries concerning our OY-EX products.